MyChance Casino offers players a refreshing set of more than 500 games and nearly $/€30,000,000 in total jackpots available across all games! Their games are available on their mobile app allowing you to enjoy the action from any location with an internet connection. They have a very nice welcome bonus up to $/€1000 as well as up to 70 Free Spins. From the wide range of great games to their prompt and attentive customer service, MyChance Casino is a really good choice to go and play action-packed games. MyChance Casino games come from top developers and include traditional favourites as well as brand new and exciting versions. For those who like the convenience of online gambling but crave the action of a live game, come to MyChance Casino for fantastic live casino games as well. MyChance Casino welcomes you with a great match bonus, takes care of you with ongoing promotions, and rewards player loyalty as well. They even have a no deposit bonus of 20 spins just for registering. Make your initial deposit at MyChance Casino and get a 100% match on your first deposit, to net you up to $/€200 free. And, along with your deposit bonus, you can get 50 free spins. The welcome bonus is split across three deposits. On second deposit, you get a 75% bonus up to $/€300, and on third deposit, you get 50% up to $/€500. At MyChance Casino all you need to do is register in order to receive 20 Free Spins! Although MyChance Casino has many ongoing promotions, they may vary over time. Sign up, dive in, and check them out! As with virtually all online casinos, the more you play the more and better bonus offers you will receive. Some folks may be tempted to make a large deposit at an online casino like MyChance Casino, accept the welcome bonus, and then withdraw their money plus the bonus. However, it does not work like that, just in case we were reading your mind. MyChance Casino players have two accounts. Money that you deposit and money that you win from wagering goes into a regular account. Money from bonuses goes into a bonus account. The difference is that you can withdraw funds from your regular account but cannot make withdrawals from the bonus account. In order for money from your bonus account to be available for withdrawal, it needs to be wagered. The rule at MyChance Casino is that you need to wager thirty-five times the amount of the bonus before any residual bonus and winnings are transferred to your regular account and available for withdrawal. At MyChance Casino, like other online casinos, some games qualify for the 35x requirement and some do not. In the case of MyChance Casino, virtually all of the slot games qualify while none of the table games do. You will be able to see more information by going to the Jackpot tab at MyChance Casino. Example: You make the first deposit at MyChance Casino and deposit $/€250. You receive the 100% match of $/€250 in your bonus account. You then need to wager your bonus 35 times in order for any winnings to be transferred to your regular account. Additionally, no wager may exceed $/€10. If you repeatedly do this, MyChance Casino reserves the right to cancel your bonus and remove you as a player. And, finally, there is a time limit to how long your bonus can languish in the bonus account without being played. The time limit will be specified when the bonus is activated. The minimum deposit is $/€10, however, MyChance reserves the right to change the minimum deposit amount from time to time. MyChance Casino accepts payment via wire transfer from your bank account, bank card, mobile carrier billing, e-wallet, and vouchers. Players may only make payments with cards and accounts held in their own name. 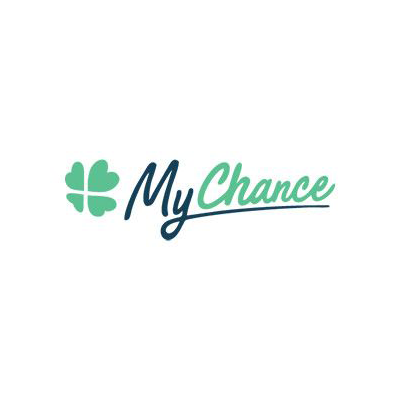 MyChance Casino prohibits underage gambling, using their facilities to “bank” one’s cash, or any hint of illegal activity or money laundering. They will ask for verification of personal information as required and close accounts when a person is depositing money but not playing. Payment at MyChance Casino is by the same methods used for deposits. It commonly takes a bit longer to receive your first payment because they may need to confirm your age, place of residence, and account ownership. However, when these issues have been satisfied, payments at MyChance Casino will flow smoothly. Players who win in excess of $/€50,000 and wish to withdraw more than 50% of their winnings may need to wait a bit. MyChance Casino reserves the right in those cases to divide such payments into ten instalments, made monthly for ten months, without interest. And, and last of all, you cannot deposit money and immediately withdraw it without ever playing! The minimum number of wagers is one but you must bet at least one time. Also, you have to have deposited $/€30 or more in order to make a withdrawal. If MyChance closes your account because you tried to gamble in a country where it is not legal, when you are underage, or for other suspicious reasons, they will charge to cover any and all fees related to returning your money. MyChance Casino is happy to have anyone come to their site to enjoy the games, wager, and win lots of money. But, you need to be gambling from somewhere that allows online gambling. They provide a rather lengthy list of places that do not qualify. The list starts with Angola, Anguilla and Afghanistan and ends with Yemen, Zambia and Zimbabwe. The full list can be found on their Terms and Conditions page. Please be aware that if you try to gamble from these locations your account will not only be closed but your deposit may be confiscated as well! We may sign up to play at an online casino because of the welcome bonus and promotions. And, we may be attracted by their mobile app that allows us to play whenever and wherever we find ourselves. But, we only stay when the games are exciting, enjoyable, and fair, MyChance Casino satisfies these requirements, making it a great place to come to and a great online casino to visit routinely. So many of us who love online casinos love our slots. And this means we will love MyChance Casino. There are traditional favourites and there are brand new slot games with heroic, romantic, or exotic themes. Games at MyChance Casino come from well-known and respected developers. Their execution is crisp and flawless. Play your favourite “fruit” game in your quest for the elusive “5 sevens” or enjoy one of the multistage games where winning takes you through a series of levels with breathtaking graphics, and ever-more-interesting themes, as your winnings increase. If you love your slots you will love coming to MyChance Casino. Blackjack has its very own section at MyChance Casino. There are many variations of this most popular of all casino games. Play the game with the best odds of beating the house. There are enough variations of this timeless game at MyChance Casino that you will never tire of playing. If your private fantasy is that you are playing roulette in Monte Carlo and rubbing shoulders with James Bond, you will love the selection of roulette games at MyChance Casino. There are many variations including European and French versions. There is even a live roulette option for those who like online gambling for the convenience but really love live action. MyChance Casino offers Live Casino games for players who prefer to play casino games online with real people. There is a good selection of live games, with separate sections for Roulette and Blackjack games, and Baccarat and Poker games grouped together in the Live Card Game section. We all love our mobile devices for the freedom they offer and the ability to stay connected wherever we are. And, MyChance Casino offers an app that works for all common mobile devices and operating systems (Android, iOS, Windows) letting you play their games any place that you can find an internet connection. Mychance.com is a trademark which is owned and operated by Bethard Group Limited. It is registered under the laws of Malta (EU) with registration number C69565. The company office is at Triq Paceville Avenue no. 6, St Julians STJ 3106, Malta. Their operations are regulated by the Malta Gaming Authority (MGA) under license MGA/B2C/312/2015, issued on the 1st of August 2018. To contact these folks simply click the “Live Chat” at the lower right-hand corner of every web page. They offer four chat options that depend on why you want to chat with them, Promotions, Account Verification, Payments, and Account Questions. We like MyChance Casino. They have a nice selection of games from solid developers, a good mobile app, and a prompt and courteous support team. We suggest that you give them a try. P.S. Their jackpots are really impressive!